The Avg. Group Discount is 13.9%! We are a hotel for those of you looking for a new and different experience. YOTEL New York breaks the mold of look-alike chains, making luxury accessible and fun. Cabins are a translation of upper class air travel and smart usage of space with a burst of natural light and awesome views. All the luxuries and conveniences of modern age travel at affordable prices. We have a robot that stores your luggage. Need we say more? complimentary muffins, coffee and tea are served daily. Restaurant is open for breakfast daily, prices range from $10 - $25 per person. The graph above is averages of room rates for both group prices and the lowest online individual rates our system could find at the time the group offer was submitted. 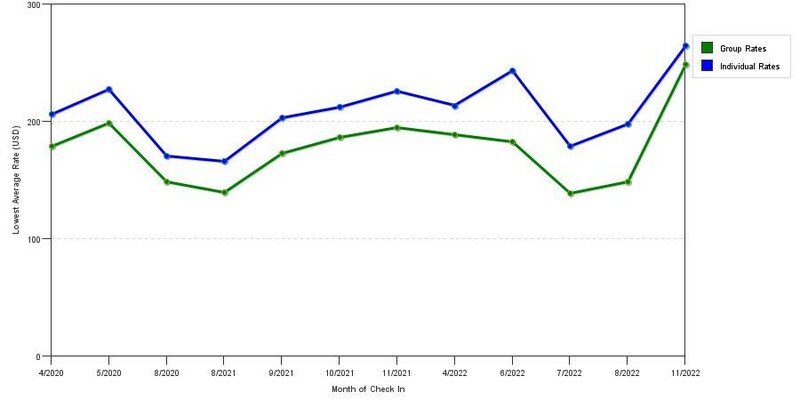 The lowest group/meeting discount shown is 38.7% in March 2020 and the highest average individual rate is $326 in the month of October 2019. This chart will show past seasonality and also project future months. If you are flexible with dates, you may want to consider staying at Yotel New York in a month when rates are lower. 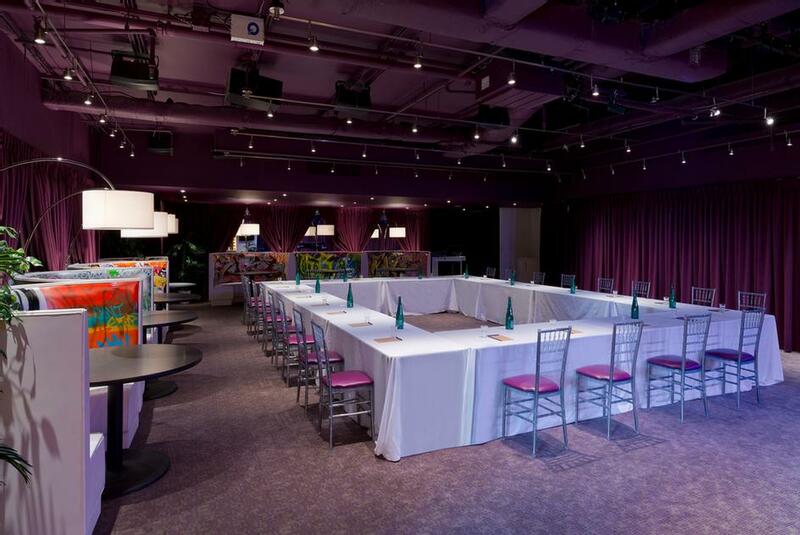 Below are the meeting, banquet, conference and event spaces at Yotel New York. Feel free to use the Yotel New York meeting space capacities chart below to help in your event planning. Hotel Planner specializes in New York event planning for sleeping rooms and meeting space for corporate events, weddings, parties, conventions, negotiated rates and trade shows. Located on FOUR spanning over 2,000 sqft/ 186 sqm, our Green Room 42 is your unique event space option that has been designed with an urban touch and built to exceed your standards. The Green Room 42 comes complete with a variety of tech, audio, and lighting options giving your event or function an extra memorable touch for those who attend. 34 x 61 x 12 Ft.